Copyright legally protects an author's works and as a result, it is vitally important in book publishing. According to the U.S. government, "Copyright is a form of protection grounded in the U.S. Constitution and granted by law for original works of authorship fixed in a tangible medium of expression." In other words, you can't copyright things like skywriting. 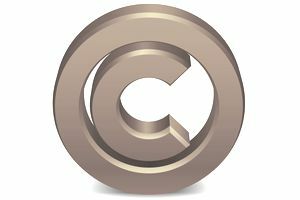 Copyright provides protection against literary piracy, which is especially critical in today's world of easy digital reproduction and distribution. Here are some frequently asked questions specific to authors and book publishing that reflect the laws of the U.S. government. Why Is Copyright Important to Authors? Copyright is extremely important to authors because it constitutes the ownership of one's original work. Having ownership means you can protect your work as intellectual property and control who makes money off of it—which is you and those to whom you assign rights. Copyright is a form of intellectual property law and as such protects original works of authorship including literary, dramatic, musical, and artistic works. These works include poetry, novels, movies, songs, computer software, and architecture. Copyright does not protect facts, ideas, systems, or methods of operation, although it may protect the way these things are expressed. In other words, your story (or piece of music or building plans) must be fully developed, fleshed out, and exist in some visible manner in order for it to be considered copyrighted. This is a compelling reason for authors to always write down their plots, instead of just talking about them. At What Point Is My Book Protected by Copyright? Your book is under copyright protection the moment it is created and fixed in a tangible form that it is perceptible either directly (e.g., on paper) or with the aid of a machine or device (e.g., an e-reader such as a Nook or a Kindle). Therefore, copyright covers both published and unpublished works. In general, registration is voluntary because copyright exists from the moment the work is created—therefore, the short answer is no but there's a caveat. It is highly recommended that authors register their work for a number of reasons. Many authors want to register their works because they want a public record of the facts of their copyright which comes with a certificate of registration. Also, authors have to register if they want to bring a lawsuit for infringement of a U.S. work and to be eligible for statutory damages, as well as attorney's fees. Finally, if registration occurs within five years of publication, it is considered prima facie evidence in a court of law—meaning, it's enough to establish that you are the owner of the work. Traditional publishers register the books they publish but if you are publishing the book yourself, you should check with your indie publishing service to make sure you understand who is responsible for registering your work with the copyright office. Is It True That Titles Can't Be Copyrighted? Yes, that is true. You cannot copyright a title. The practice of sending a copy of your work to yourself is sometimes called a “poor man’s copyright.” Because the U.S. Postal Service is a federal agency, there has been a common but erroneous presumption that your stamp somehow validates your copyright. However, there is no provision in the copyright law regarding any such type of protection. Mailing your work to yourself is not a substitute for the additional legal proofs that a registration provides. The United States has copyright relations with most countries throughout the world. UNESCO's World Book and Copyright Day highlights the global value of copyright. However, the United States does not have such copyright relationships with every country.